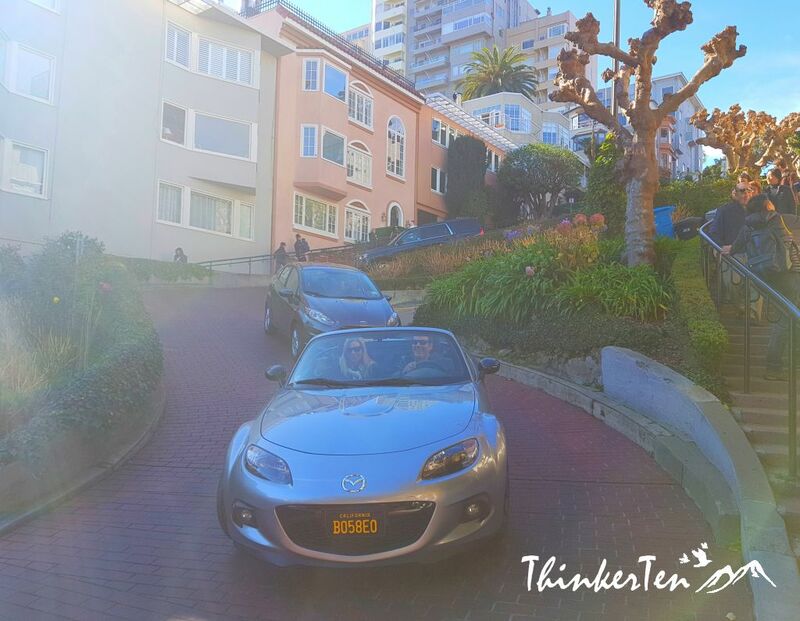 Lombard Street @ San Francisco – the most crooked street in the world! Lombard Street is the most crooked street you can find but also one of the most over-rated tourist attraction in San Francisco. 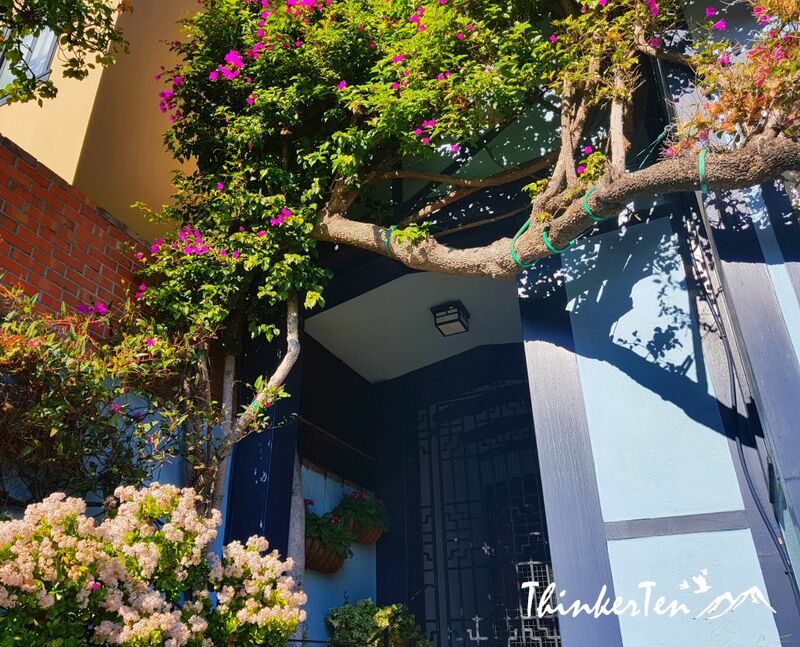 It is only about 20 mins walk from Fisherman Wharf. Beware there are a lot of uphill slope where you have to climb upwards if you decide to walk from Fisherman Wharf. Another way to visit Lombard Street is by cable car, the Powell-Hyde cable car will drop you off right at the intersection of Hyde and Lombard (the top of the crooked block), or the Powell-Mason line will drop you three blocks away at Lombard and Columbus. 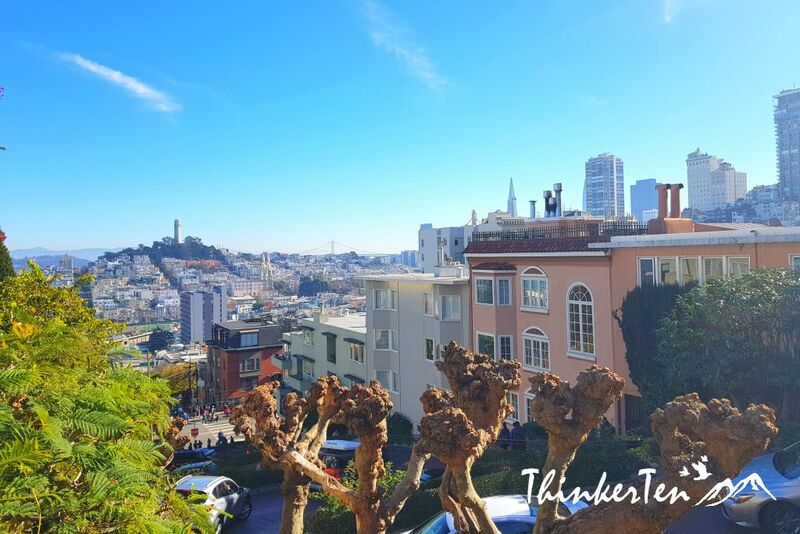 Once you reached Lombard Street, you will realized the iconic winding roads and steep slope and most importantly, the street is packed with tourists!! Both side of the pedestrian paths are so packed and tourists have to give way. Traffic for the pedestrian paths are moving very slow. This place is good for tourists but it may not for the locals who lives here. Imagine the noise and the hassle tourist made. I wound not want to live in Lombard Street for sure. I need my privacy and peace. 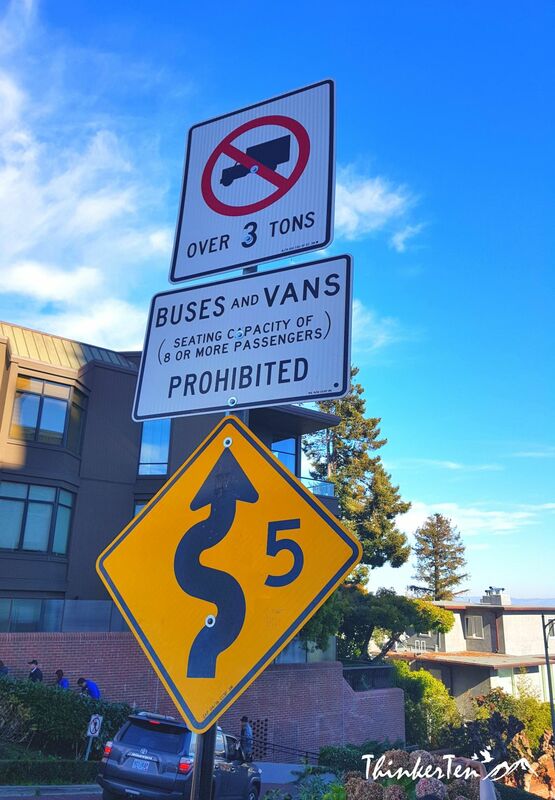 Wonder why Lombard Street is so crooked? Lombard Streets has eight sharp turns. The purpose is to reduce the risk of danger due to slope is too hilly 27degree which was too steep for most vehicles. Traffic caution sign at top of switchbacks recommends a top speed of 5 miles per hour (8.0 km/h). If you choose to drive, the short distance may cost about half an hour due to the traffic and every vehicle is driving super slow as all wanted to have a glimpse of this neighborhood. I think the best way to see Lombard Street is by foot, which you can catch the cable car and stop at the top of Lombard Street. If you don’t mind some traffic, you can experience the crazy turns by driving. Go to Van Ness Avenue to the west, turn east onto Lombard and wait for the traffic to clear and your turn to drive in the crooked street. This looks like it would be such a cool place to roam around! I’d love to visit San Fran — and this street — one day! I’m a travel writer and I can’t believe I’ve never heard of this place! 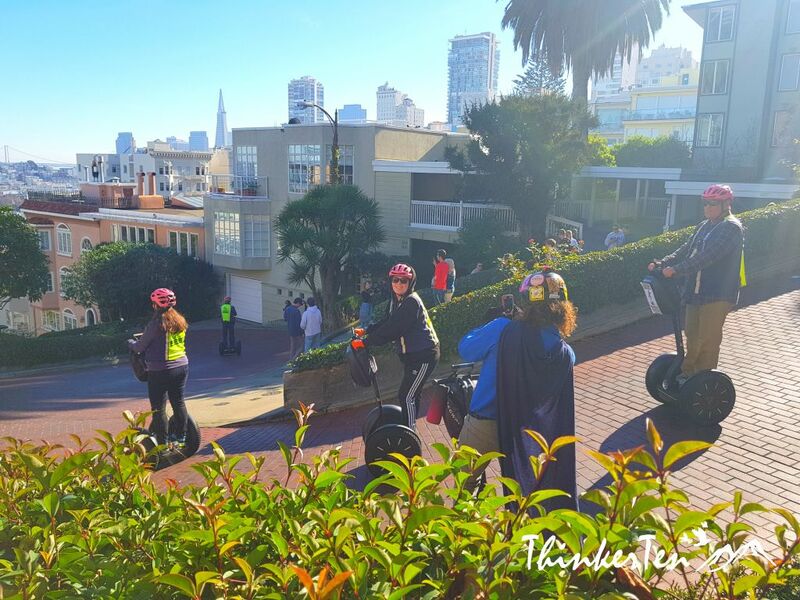 It does sound pretty steep, but I bet it’s super-fun to zoop down on a Segway! This looks like a quirky and cool place to visit. I bet it is crazy to drive it, I think I’d probably take the hike up! Wow! Looks like a winning and fun place, though I may say the road is quiet challenging, but I also think, it maybe part of the fun too. Great post. I’ve been there before and it’s absolutely beautiful. Definitely worth seeing Lombard street but I agree avoiding driving it and just walking or taking the cable car is probably better. Would love to explore this place…just feel awesome to see the pictures!!! 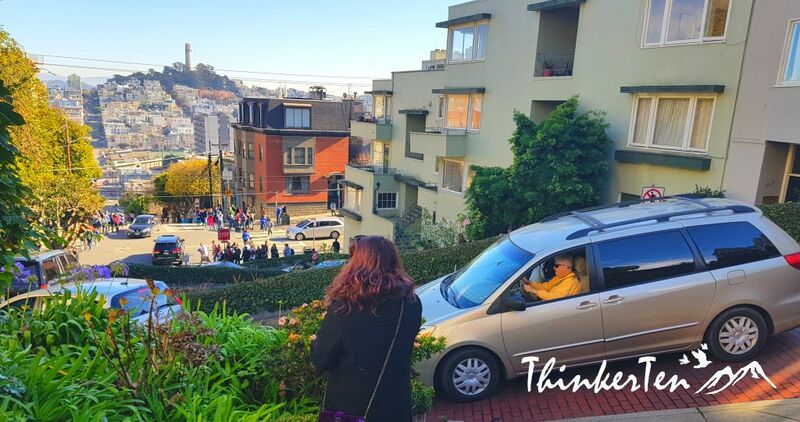 I had seen a photos of Lombard Street on facebook but never thought it would so steep. Looks like a great place to visit.